Chitwan jungle safari in Chitwan National Park. 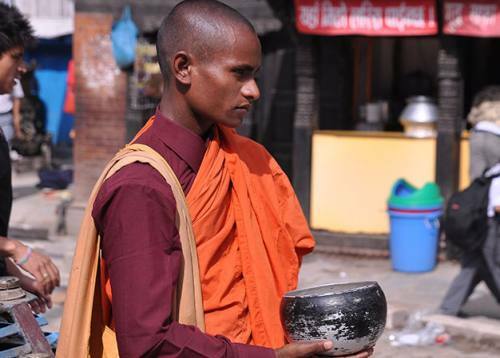 Explore Culture of Kathmandu Valley and the beautiful city of Pokhara. Kathmandu Pokhara Chitwan Tour in Nepal with our fabulous 8-days experience of best touristic cities of Nepal Kathmandu Pokhara Chitwan that combines natural, cultural, and wildlife experiences. 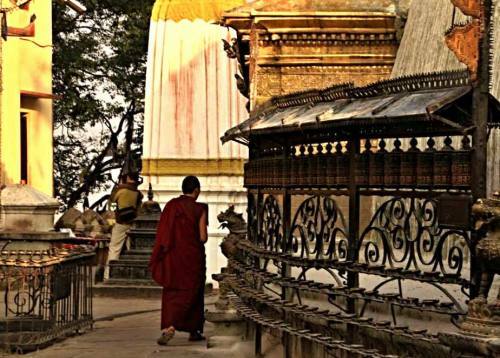 During this tour you will visit historical places, temples and respectful area of Kathmandu and drive to Pokhara. Pokhara is considering as the paradise on earth. Beautiful mountains in the north side, clean and wide lakes in the middle of the city, green forest, friendly and warm locals make your holidays more meaningful. Pokhara is gate way to the Himalayas. From the southern fringes of the City Mountains (Manaslu 8163m and Annapurna 8091m) and, in the middle of the Annapurna range, the Machhapuchhre 6993m ('Fishtail') can be seen. Chitwan National Park is the oldest national park of Nepal. The park is rich of flora and fauna which includes one of the last populations of single horned Rhinoceros and Bengal tiger. Chitwan National park is home of at least 43 species of mammals and 450 species of birds. We offer all activities program including elephant ride, canoe and guided jungle walk. Kathmandu Pokhara Chitwan Tour has been designed for those who are seeking for a combination of cultural, natural, and jungle/wildlife exposure during their trip providing you a complete fun and adventure. The next stop on your tour package is Chitwan, Nepal's best known National park, less than 150 kms away from both Pokhara and Kathmandu. Covering an area of 932 sq km., Royal Bengal tiger , freshwater dolphins, One horn Rhino, Genetic crocodile are the main attraction of this National Park. Up on your arrival at Hotel in Chitwan, refreshment break followed by lunch. At evening, slow walk to visit indigenous people of this National park with their native, unspoiled tradition & customs. After dinner, visit to cultural programme hall to observe cultural programme of native people. Overnight at hotel. Elephant bath. (If you feel interested in taking bath by sitting on elephant back you can try). Elephant Safari - Late afternoon, we will drive you to the elephant safari centre for elephant safari, that will last for 2 hours. 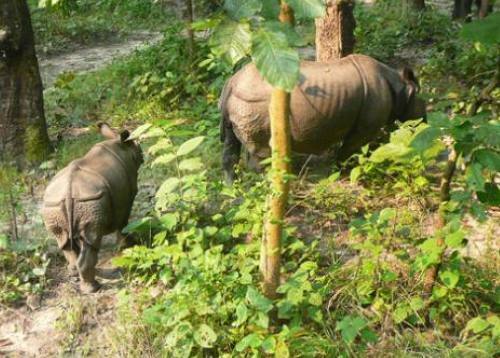 (This tour is very famous for observing one horn Rhino, Royal Bengal tiger and many more). Overnight at hotel. The next stop on your tour is Pokhara, a significant tourism destination in between the great Himalayas and Mahabharata Range in the central region of the country. It is the world from where one can enjoy the magnificent view of mountains having elevation above 8000 meters while sitting below 1000 meter above sea level. Out of the highest mountains of the world, which are known as eight thousanders having elevation above 8000 meters - Annapurna, Dhaulagiri and Manaslu can be seen from Pokhara. It is an enhancing city nestled in a tranquil valley, which is also gateway to the world famous Annapurna region trekking. Overnight in Pokhara. Early morning, we drive to Sarangkot for the sunrise. From Sarangkot, one can enjoy clockwise view of snowcapped peaks, crystal-clear lakes, streams and gorges, picturesque villages inhabited by friendly smiling Gurungs, Magars and other ethnic tribes. 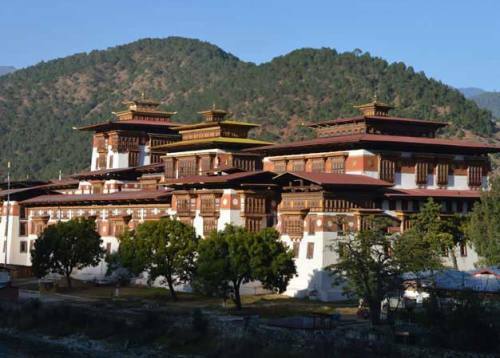 After noon, Sightseeing includes visits to nearby Tibetan villages, David's Fall, Mahendra Cave, the famous Seti George and some beautiful temples like Bindhabasini Temple and Pokhara Museum. Sightseeing in Pokhara, also includes a boat ride on Lake Phewa - Phewa Lake is the center of all attraction in Pokhara. Overnight in Pokhara. After Breakfast, visit around Thamel before you go to airport. Afternoon final transfer to the airport for flight to onward destination. Airport pickup and drop by private car. Accommodation in Kathmandu on BB basis. Chitwan Safari Tour ( 2 Nights 3 Days ) on full board program including breakfast, lunch and dinner. Kathmandu sightseeing tour with guide by private car. Personal equipments and personal insurance. Lunch & Dinner while you are in Kathmandu and Pokhara. Bar bills like coke, mineral water, Beer etc. Tour Guide Pokhara and Chitwan. Our tour group is depends on the number of persons but we normally take in 02-10 persons in a group. However, if you are in a bigger group of more than 10 persons, we can manage tour accordingly. The maximum number 10 is the outcome of generally organized group tour. But, we are good at organizing tours for any group size you require. Besides the group, we have our local staffs to assist you as well. Tour does not just mean traveling around; it will be more rewarding if you can gain good bunch of information of the areas you travel and well as exploring the cities and heritage sites. So, we provide you with tour guides for that and in order to assure easy travel experience. 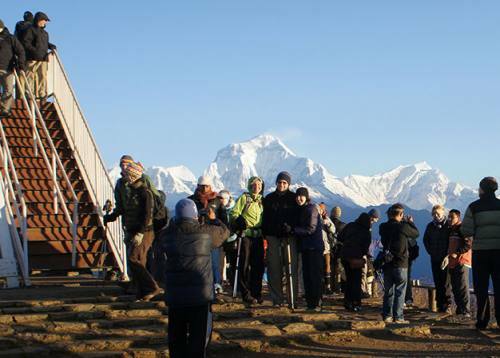 For trekking group of 1 to 5 people, we provide 1 Tour Leader. For group of more than 5 people, we provide 1 Tour Leader and assistance guide. While in Kathmandu, your accommodation is at tourist standard hotels facilitated with Attached Bath, A/C, 24 hours running hot/cold shower, Internet service and others. The facilities provided here is of 2 to 3 star standard hotel and we serve you a breakfast at same hotel. During our trip we accommodate you on deluxe hotel on twin sharing basis. However, if you require a single supplement accommodation, it can also be made available on request at an additional cost of US$ 40. But still you need to be aware that single supplement accommodation may not be available at all the places during our tour. We mostly serve fresh and hygienic breakfast at hotel where you overnight. we serive you welcome dinner to let you experience typical Nepali food. 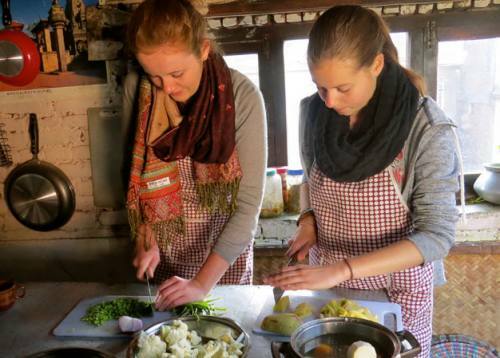 During our trip we will try different cuisines including international cuisine, Tibetan, Italian, and Continental. You can always make your choices from the food menu available there. We will have breakfast the hotel mostly whereas we will have the lunch and dinner on our way. The means of transportation are private cars/vans and public bus. Pick up and drop off from airport to hotel, and hotel to airport will be done by private transportation. Also we can arrange domestic flight as per your request. Trek in Nepal will start with a drive from Kathmandu to trek starting point. It is necessary that you take in good precaution during your travel to avoid any difficulties in your tour. Mount Trails trustworthy, experienced, qualified tour leader escorted on your trip. Your safety is assured by the local trek guide and other staffs. It is very essential that you are accompanied with the very experienced, qualified and well-equipped leader such that your tour runs safe and successful one. All our guides at Mount Trails are trained and licensed from Nepal Government, certified from TAAN and Nepal Mountaineering Association with experience over many years. So, this is a double assurance for your safety and to make sure that you are in the correct and professionals hand. Thus, you need not worry about anything; we are here only at your service. 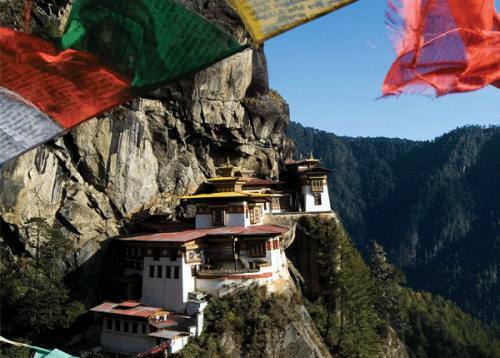 If above program itinerary that don't suit to you and wish to modify above itinerary then please let us know, we would be so much happy to create a tailor made itinerary as per your time and interest.It is also possible to combines above trip with Jungle safari, Rafting, Homestay Tour or with any other travel plans in Nepal, Tibet and Bhutan. Mount Trails expert trek tour operator will design and arrange your holiday as per your time length and interest.